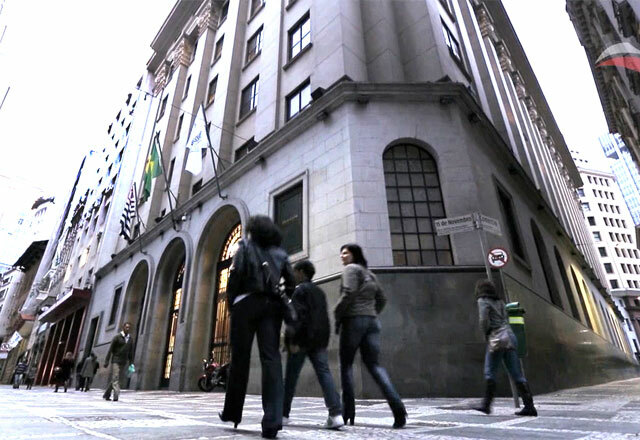 The State of São Paulo is majoritarian in the provision of financial services in Brazil, considering the activities performed by the banking system, insurance services and real estate services. According to information from the Central Bank of Brazil (BCB), 32% of credit transactions in the country are registered in São Paulo (2012). The city of São Paulo is home to the third largest urban agglomeration in the world and the main center of tertiary activities in Brazil. In addition to being the largest financial center in Latin America, it is home to the headquarters of major banking institutions existing in Brazil and to BM&FBOVESPA S.A. – Stock, Commodities and Futures Exchange, one of the largest exchanges in the world by market value. The concentration of the banking system in the State of São Paulo has deepened in recent years, due to, among other factors, the equity restructuring process undergone by the national banking system after the second half of the 1990s, motivated by the pursuit of gains of scale in addition to the presence of externalities and agglomeration economies present in the state economy. The re-articulation of the sector accelerated the entry of foreign banks and their capital in the domestic market, as well as the privatization of public banks and the process of mergers and acquisitions. Studies on the banking system, relevant part of the financial system, claim that the banking concentration is more than a shadow of the degree of economic development, also representing the qualitative concentration of dynamic activities of the global economy. Banking activities involve the transactions of the highest sophistication and/or magnitude, in which the externalities of location gain importance, such as the quality of the communication infrastructure, supply of skilled labor, economies of operational scale, quality of legal forums, among others. Companies that settle in São Paulo also have facilitated access to different types of financial assistance via credit to leverage businesses and to an extensive range of financial services. In addition, they rely on consultancies of access to credit, diagnoses, organization of financial management systems, business plans and studies of economic and financial feasibility. Why invest in Financial Services in São Paulo? Industry leader, it registers 32% of credit transactions in Brazil. Home to BM&FBovespa, one of the largest stock exchanges in the world. It hosts headquarters of major domestic and foreign banks in operation. Quality of communications infrastructure and legal forums. Supply of skilled labor and operational scale economy.